Trying to move on your own can be one of life’s most frustrating experiences. We understand if you don’t want to do it yourself. Don’t worry. Our team at Best Buffalo Movers loves moving homeowners, apartment dwellers, and comerical business owners and corporate offices throughout Buffalo and Western New York. We pride ourselves on being the best moving company in Buffalo, NY. You know what we enjoy the most? A good ole full-service move. That’s where we do all the work and you can sit back and relax. Oh, we’ll keep you up to date through the whole process -- from planning your move, to packing, loading, transporting, and the rest -- but you’ll never have to worry about a thing. We won’t damage your cherished items or scratch up your new home or office space. 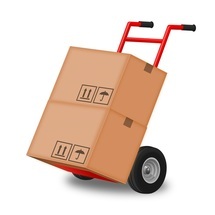 Best Buffalo Movers promises that your move will be quick, efficient and stress free. So forget about renting a U-Haul, Budget truck, or a few PODS, and breaking your back to move all your belongings. The truth is, by the time you pay for renting the truck and equipment, gas, taxes, and other costs -- not to mention your own labor -- it would cost about as much as we charge for a full-service move provided by the best moving company in Buffalo, NY. That's us! Leave the hard work to us! Call Best Buffalo Movers at 716-442-3195 for more information about our moving options and moving rates, and for a free no-obligation moving estimate.